Suginami Aikikai San Francisco, California started as "Skidrow Dojo" in the back of a photo studio on Sixth Street in San Francisco February 1986. A group of artists asked James Friedman to teach them self-defense shortly after the violent murder of a loved one. Classes began in the shadow of tragedy, and Aikido in a small way helped heal the suffering these people were going through. Beginning as a club for that group of around ten friends, the dojo soon outgrew the Sixth Street studio and relocated to 759 Harrison Street in San francisco, California where it remained for three years. Since 1987 the Dojo has hosted many of the world's highest ranking Aikido instructors, including Kato Sensei, Nishio Sensei, Anno Sensei, C. Tissier Sensei, P. Hendricks Sensei, Sugawara Sensei, Terry Dobson Sensei, K. Cottier Sensei. After the 1989, San Franicisco earthquake, James moved the dojo a few blocks away to 57 Stillman Street, and it stayed at that location for ten years. 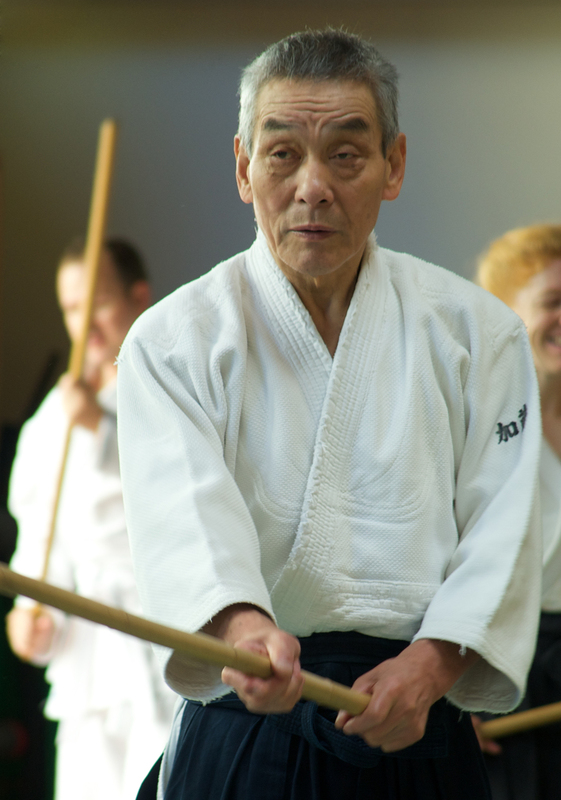 In 1996 Kato Hiroshi Sensei was welcomed to San Francisco, and shortly thereafter "Skidrow Dojo" was renamed Suginami Akikai SF and became an official branch dojo of Suginami Aikikai Tokyo. Our dojo's official connection to the world headquarters - Hombu Dojo in Tokyo, Japan. In 1999 we moved to our present and final location at 141 11th street, between Mission and Howard streets, San Francisco, California. Kato Hiroshi Sensei began his lifelong study of Aikido 1954 under the founder of Aikido, Ueshiba Morihei O-Sensei. For many years, Kato Sensei inspired us with the beauty of both his practice and his character. He is greatly missed.